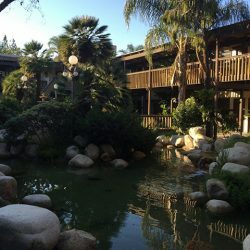 You’re welcome to New Life Treatment Center, your one-step Rehab Detox Center in Orange County. The lift the burden off your shoulder and give you all the information, resources, and treatment options for drug related addictions right here in California. We also highlight breaking news and updates from the world of addiction rehabilitation treatment and how technology is helping to achieve lasting happiness. Don’t let drug addiction put you to the corner and create a negative impact in your life and those around you. New Life Treatment Center strives to create an enabling environment suitable for alcohol and drug addiction treatment, and we leverage proven unique therapies to address the fundamental imports and causes of drug abuse, as well as proffer lasting solutions. Anyone who says that drugs and alcohol creates a true sense of joy has lied to you. It doesn’t matter who the person is. Here’s our reason: At New Life Treatment Center, we understand that real happiness resides within every individual, regardless of race, language or financial status. Our staff will guide you to uncover how to achieve real joy that comes from the inside, while providing a guided recovery program that aids in the management and control of fear, depression, anxiety, and other negative emotional disorders that people may experience. That way, people can experience a New Life full of vitality like never before. Rehab or rehabilitation can be used to support an individual to recover from injuries, addictions, mental or physical illness. The most common kinds of rehab today are drug rehabilitation programs. Individuals addicted to drugs, marijuana or alcohol usually need assistance and extra care that drug rehab centers offer. Drug rehabilitation care centers or programs help victims to change their motive toward the use of drugs. Sometimes, you can find druggists, alcoholics and marijuana addicts denying of the negative effects of addiction. For this reason, professionals are hired to work in rehab centers in helping victims identify their immediate problems. Affected people have the opportunity to leave a rehab center at their own volition. However, it is important to know that a drug rehab will remain effective only if the victim desires to change their own life and condition. Drug addiction programs or rehab centers help to prepare victims in re-entering the society at large. Do you know that drug addiction or alcoholism can change the entire habit of an individual? Addictions can impact every area of a person’s lifestyle with relationships and work inclusive. With drug rehab, there is every possibility for the affected to change their own life in a healthy and safe way. Today, you can find a variety of drug rehab centers. Some provide a wide range of drug addiction solutions while others only offer specific services. In some areas, you can find certain rehab centers that are age-or-gender-specific. This will help victims to be comfortable and happy within the setting. There are also outpatient and inpatient rehabilitation centers for affected people. Drug rehabilitation treatment facilities usually bear the shame that victims are coerced to stay. The real fact is that this statement about rehab centers remains untrue. Drug addicts and alcoholics are free to vacate any rehab facility when they decide to leave. The main reason for this action is that a rehabilitation center or program can only be effective when it comes from the heart of the patient. A drug addiction program can be effective for instance if a court orders a patient to remain in a rehab center. Drug addiction services may range from small centers to elegant treatment facilities. The level of insurance coverage and budget will determine the type of rehab facility an addict attends. In truth, you will discover that classic services provide extra amenities than normal rehab facility. Before making a final decision, it is the responsibility of patients to locate the best and right rehab center that suits their need. Detox treatment may be required before an addict or druggist enters a rehab center. Detox remains a procedure that an addict will undergo to removal addictive substance from their body. The entire process for detoxification can last for a space of seven days and will be monitored by either nurses or medical doctors. Provided the detoxification process is over, then a patient will be ready to be admitted into a rehab facility. Medical practitioners in a rehabilitation facility can provide medications to alcoholics and druggists. This will help patients to recover from their poor addicted condition. An addict can take medication to regulate physical or mental drug and alcoholic abuse triggers. Depending on the victim’s needs and circumstances, the medical treatment can either be long-term or short-term. Counselors and medical professionals working in a rehabilitation facility can support victims to make decisions for themselves. Victims will be dedicated to themselves and promising their loved ones to have a change of habit and lifestyle. This can either by a short-term or long-term objective to help victims become acceptable to the society again. To help addicts to be committed, make healthy choices and overcome denial, medical professionals will teach them on the effects and consequences of addition and drug abuse. Victims learn more about the negative impacts that hard substances have on their body. This will help the addicted to be motivated and inspired in making a quick change. Patients usually get constant personal counseling from drug rehabilitation treatment facilities. There is every possibility for the counseling period to occur every day. Counselors help the addicted find any psychological or emotional issue that has contributed to the problem. For a victim to recover completely, it is a good idea to resolve these psychological issues. The addicted in a rehabilitation center usually take part in group therapy in addition to personal counseling. With the assistance of a professional counselor, addicted patients of similar addictions can meet together. It helps patients to have companionship with each other and establish long-term friendships. On the path to recovery, this tight personal closeness can help patients as well. People who are affected and find themselves in a rehabilitation center often learn how to identify conditions that may cause alcoholism and drug abuse. These causes can be simply part of a patient’s normal routines, area of relationships, physical or emotional. With the help of medical experts and counselors, patients will be able to fight against drug abuse triggers. Addicts, alcoholics and marijuana smokers undergoing a rehabilitation treatment program are educated to abstain from toxic and bad relationships. Toxic and bad relationships can easily lead patients going back into drug abuse or alcoholism. Drug addicts are also provided the opportunity to ask other people for assistance and support during the process. The assistance can come from family members, friends and other rehabilitation patients. At the rehab facility, family members or friends can get comprehensive information from doctors and counselors. When family members or companions learn about drug addiction, it can help to support the addicted. This can be achieved by taking part in the counseling period along with the addicted. Counselors can as well provide coping skills that can help family members handle the urgent problem of patients. Support and showing love are one of the best ways to help a patient to overcome drug abuse triggers. Do you desire to be free from alcoholism, marijuana addiction and drug abuse? Are the pressure, shame and anxiety of addiction disturbing your life? Don’t despair because you are not alone. Our treatment centers can help patients get relieved from their aging addiction problems. Our treatment center is located in Orange County. Visit us today and start your journey to a quick recovery.